Warning: Corin Nemec (aka Parker Lewis on Parker Lewis Can't Lose) didn't make the list. Time has released its annual 100 Most Influential People in The World issue, and once again, your high school friend who correctly told you white people shouldn’t have dreads was somehow left off the list. For the 2016 edition, Time published six covers featuring Leo DiCaprio, Nicki Minaj, Mark Zuckerberg and Priscilla Chan, Lin-Manuel Miranda, Christine Lagarde and Priyanka Chopra. 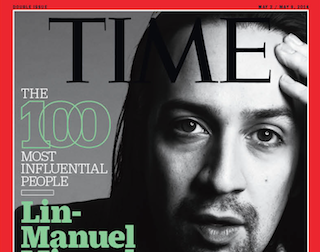 The Time 100 issue hits newsstands tomorrow.